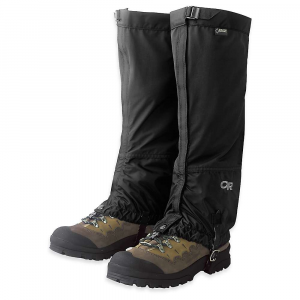 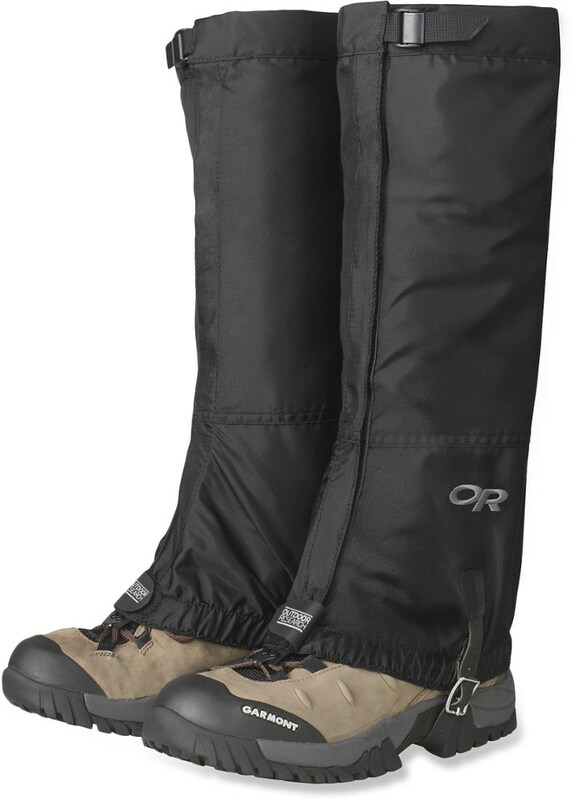 Outdoor Research Footwear Overdrive Wrap Gaiters Unisex Black L/XL 264370-black-L/XL 2643700001016. 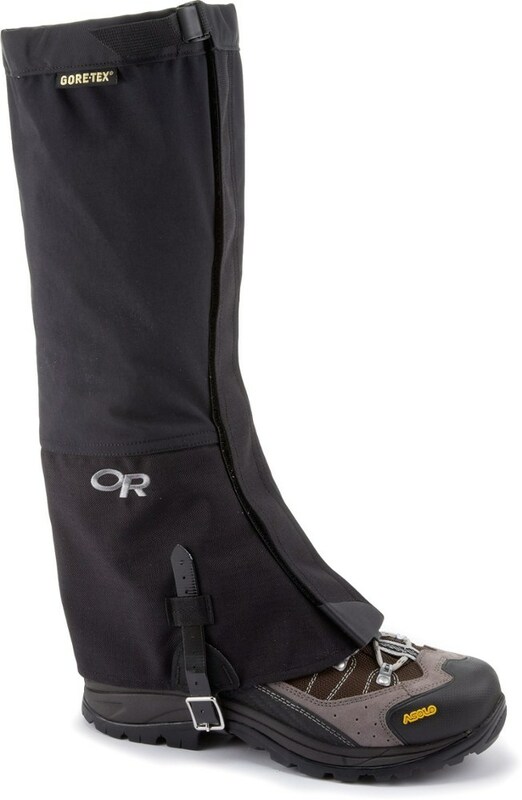 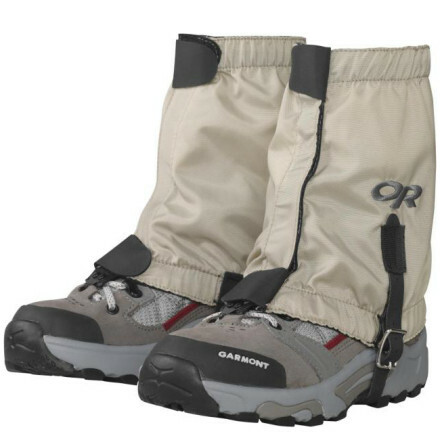 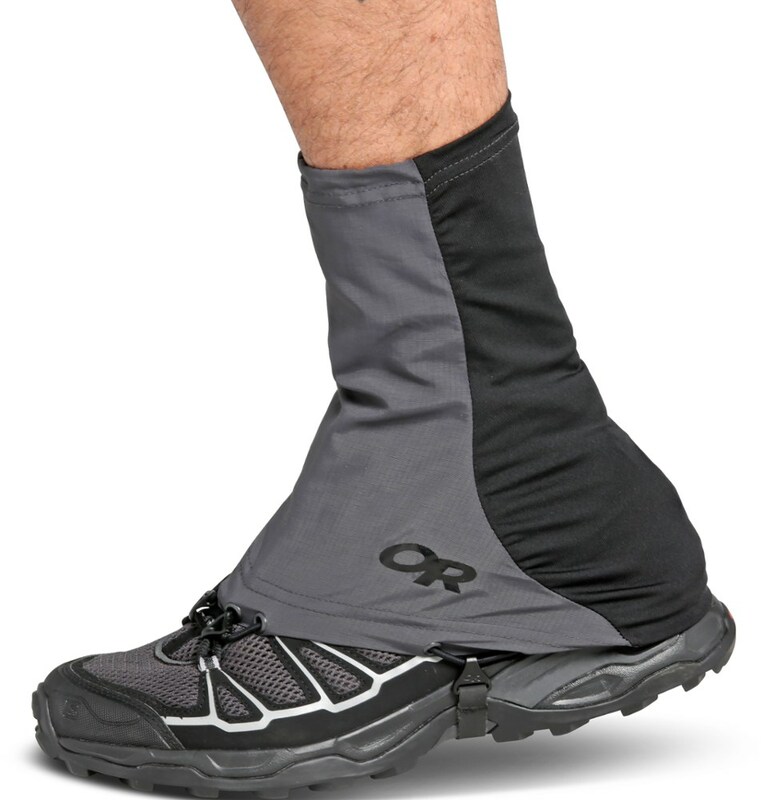 The Overdrive Wrap Gaiters do more than ward off rocks mud scree snow and anything else the trail throws your way - they pair durable tough Cordura blend with a soft lightweight knit fabric for extreme ruggedness in a 4.2 ounce pair of lightweight gaiters. 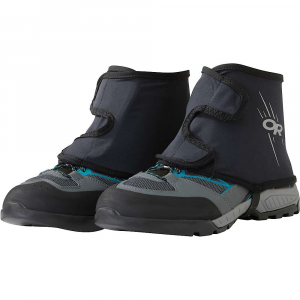 Their stretchy low-cut design gives the wearer greater freedom of movement while a unique wrap closure provides complete footwear protection in harsh environments. 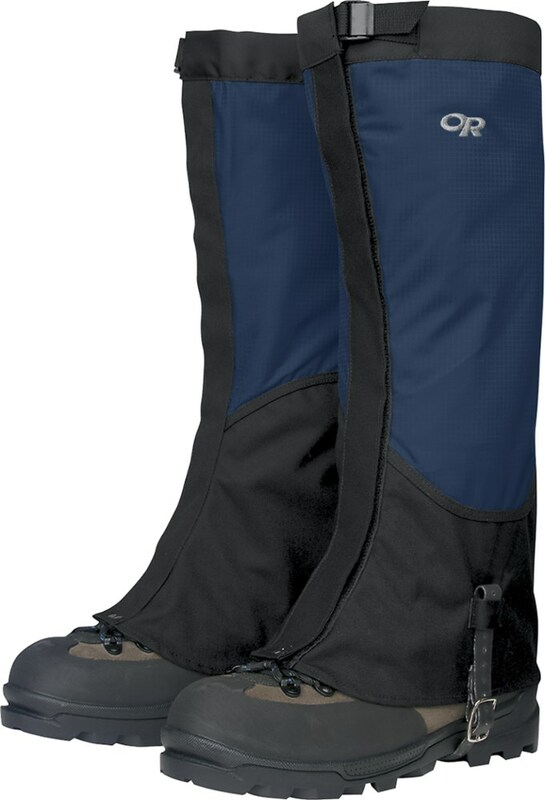 Reinforced bootlace hooks and a durable Hypalon instep strap ensures your gaiter does its job and stays where it's meant to.